Dave's solo Exhibition, David John Talor Exhibition will be held from 5th to 16th of June 2018 at GALERIE ANDO in Shibuya, Tokyo. 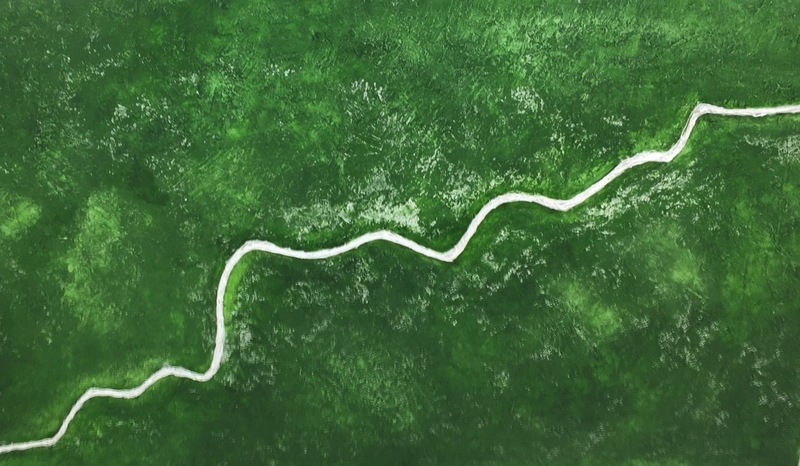 At the Ando Gallery, you can now see 23 of Talor's new art works, including his latest 15 Aerial series in this private exhibition. The "Aerial" paintings contain pure nature, as well as artificial, industrial architecture. Even natural landscapes, may contain man-made, artificial creations made by ancient people way back in the past or future civilizations. The buildings and monuments have become part of nature over centuries. Enjoy Talor's vision of past and future landscapes.